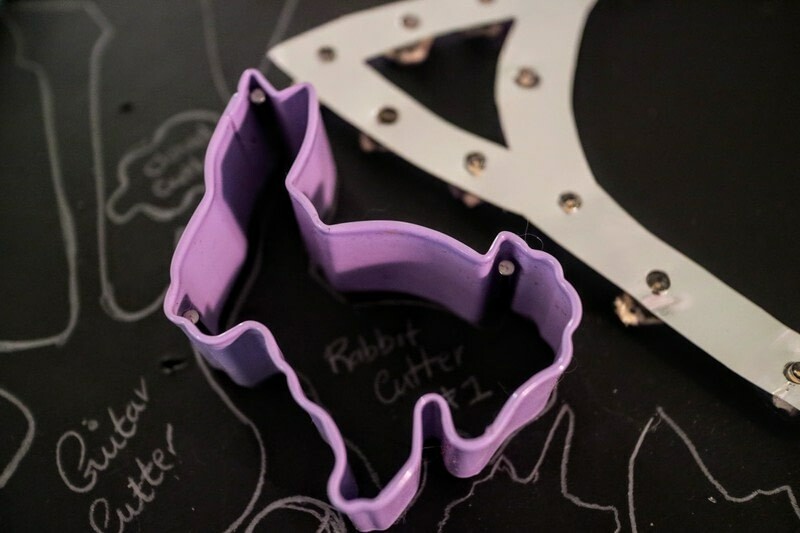 Put your cookie cutters on display with a handy kitchen pegboard! 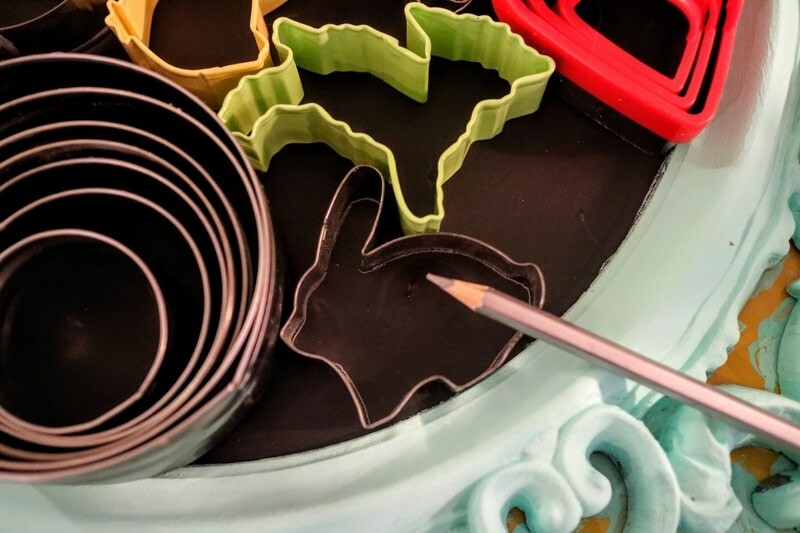 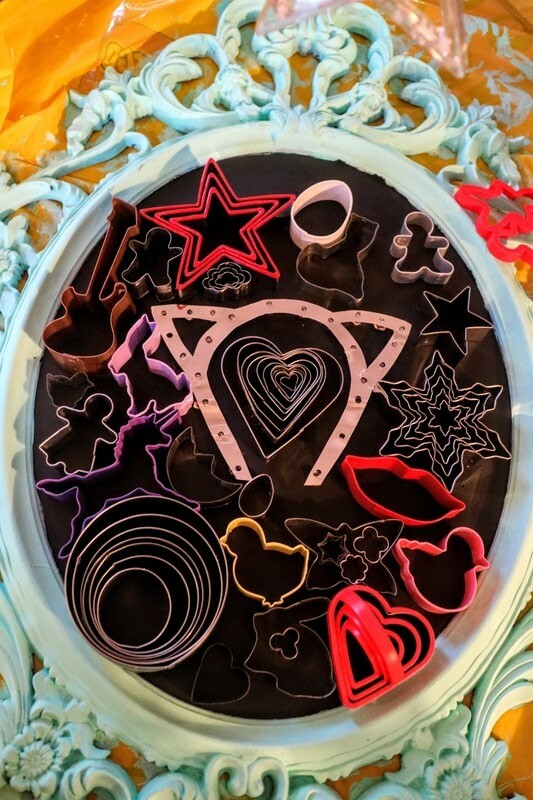 When looking for baking inspiration, I always find it helpful to tip out my cookie cutter collection to see what shapes I have and then go from there. This gave me the idea to make a cute pegboard for my kitchen wall and now it's super quick to see all the shapes I have available! 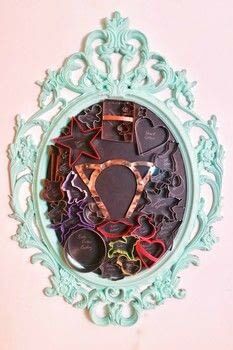 To start, you'll need a frame and a sheet of cork board and a sheet of card large enough to fit inside. 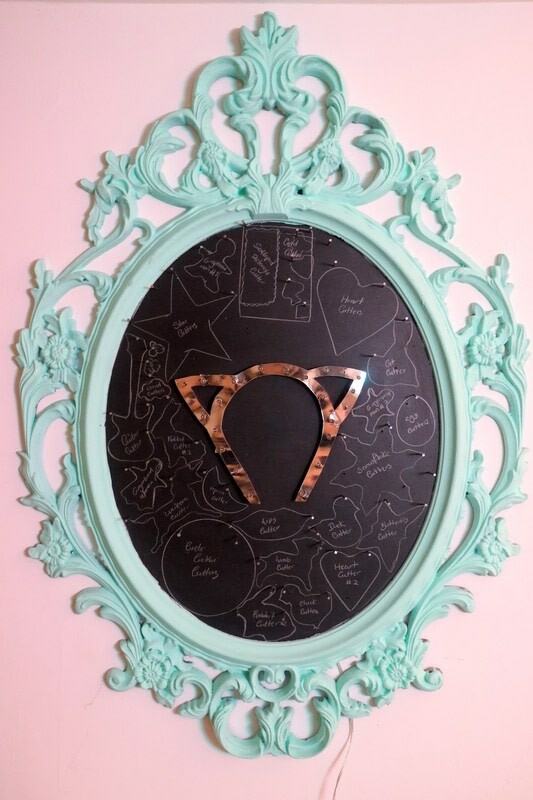 Cut to size and mount in your frame with the cork board to the back. 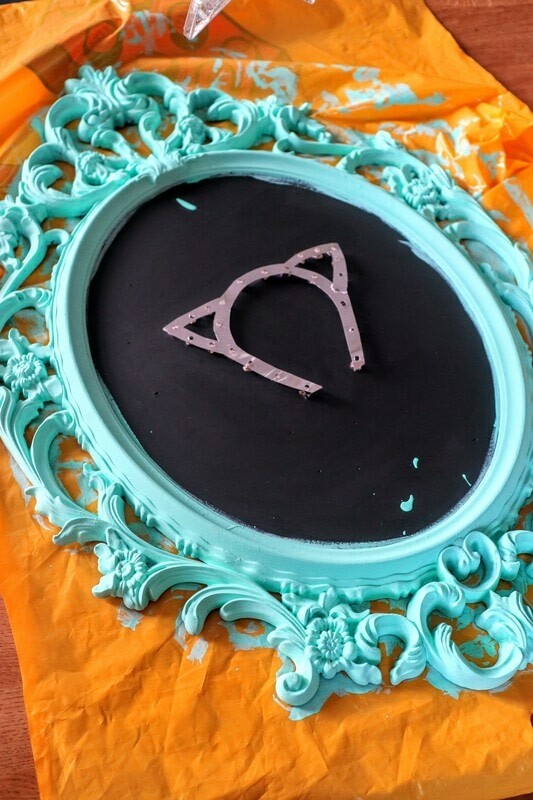 Start by painting the card with chalkboard paint. Paint with one coat of chalkboard paint and leave to dry. 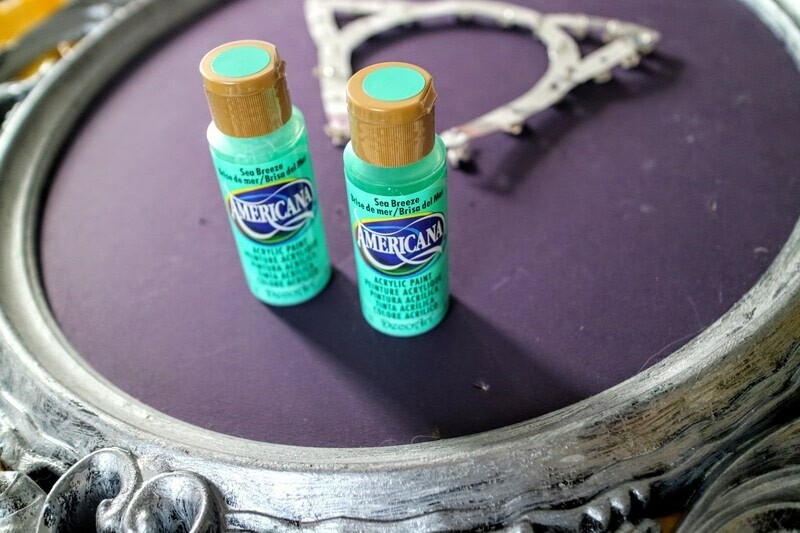 Now move onto the frame, I chose Americana's Sea Breeze though it was a little dark so mixed it with Snow. 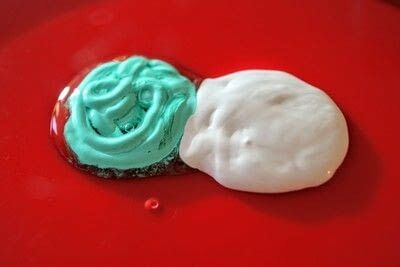 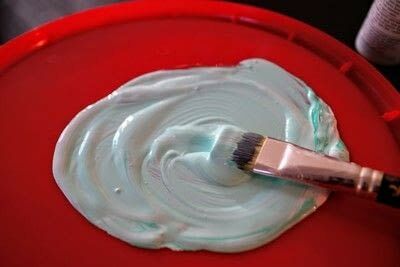 To get the lovely pale mint colour, I mixed together two parts of the green with three parts white. Mix until you're happy with the colour and it's even throughout. 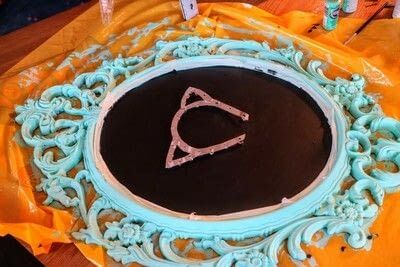 Paint the entire frame with one coat and leave to dry. Paint a second coat, using this opportunity to lighten or darken your paint ratio to your liking. 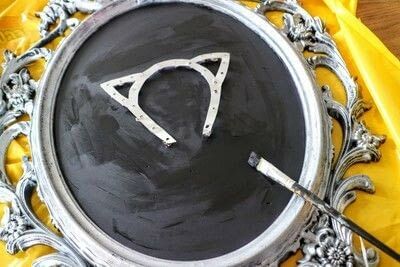 I chose to go even lighter with my paint as it had darkened a lot when it dried. 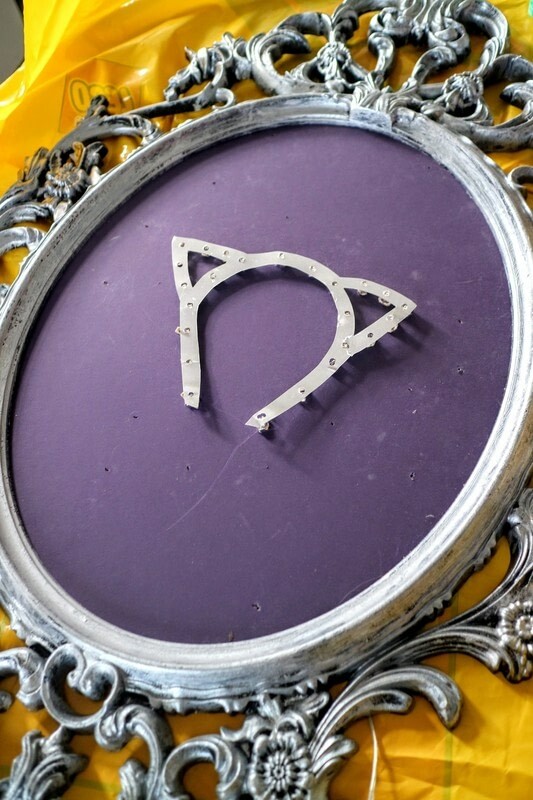 When dry, place masking tape around the edge of your frame. 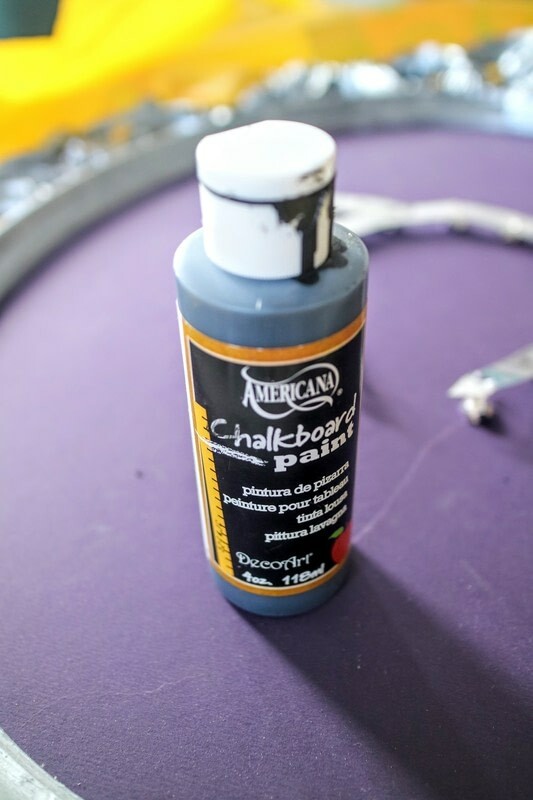 Paint a second coat of chalkboard paint, covering over any green paint splatters. 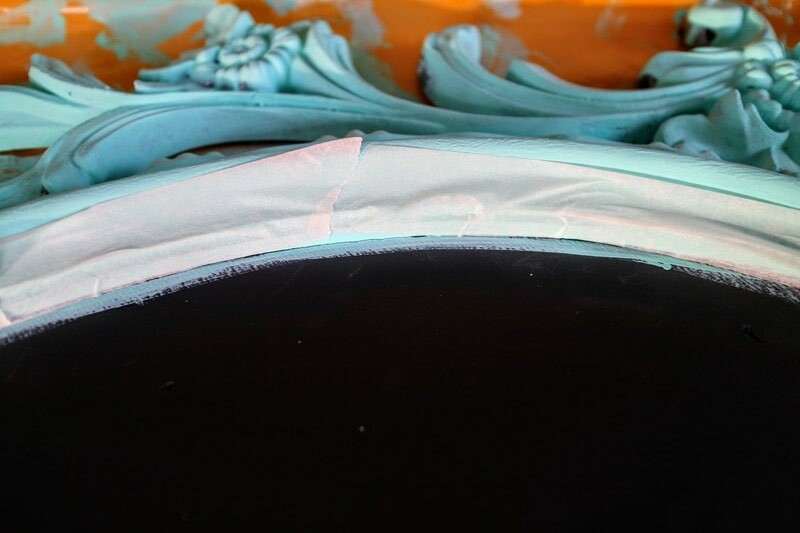 Leave to dry before removing the tape. Now for the fun bit. 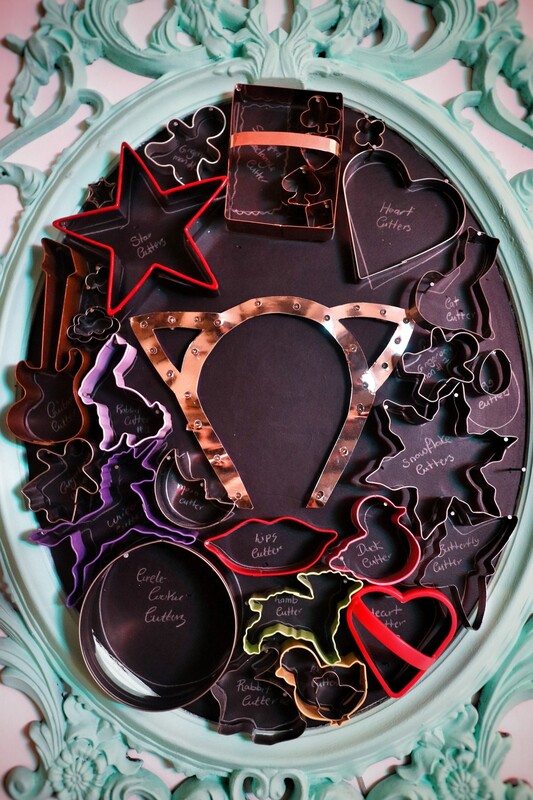 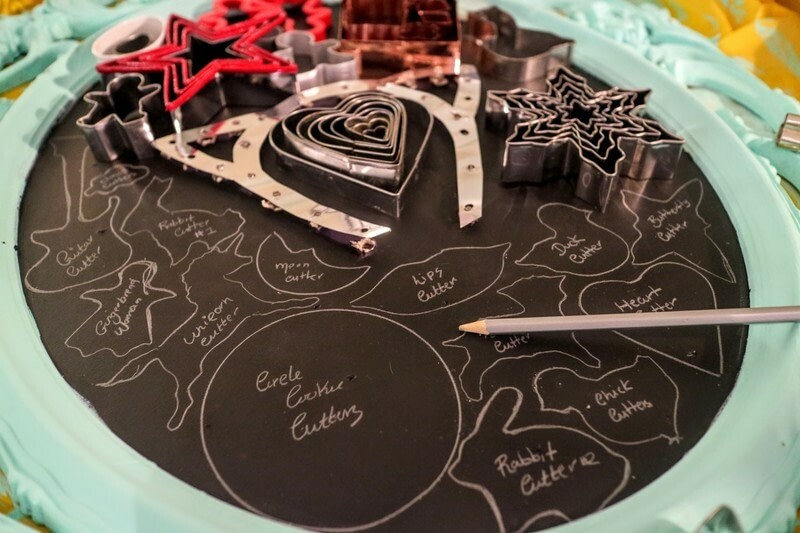 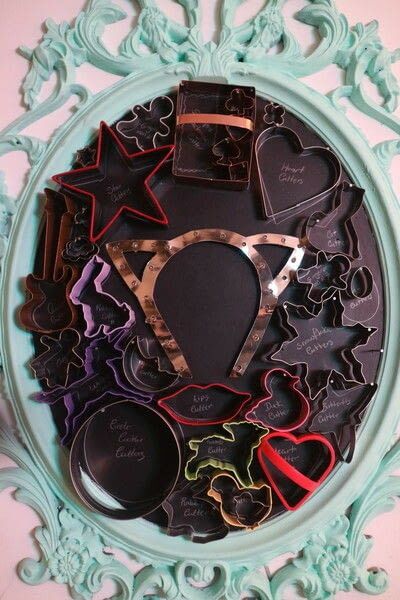 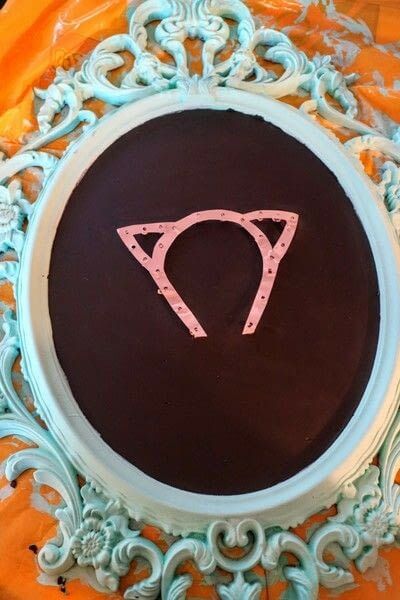 Arrange all of your cookie cutters inside your frame, making maximum use of space by trying them in different spaces. Once you're happy with the layout, use a chalk pencil to sketch the inside shape of your cutter. Repeat this for all of the cutters, adding labels if you like too. Now hammer some panel pins into the top of the shapes to hold your cookie cutters in place. 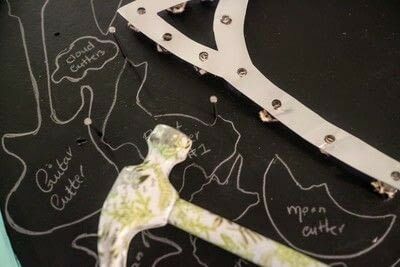 Hammer in two nails for small cookie cutters and three or four for larger ones. 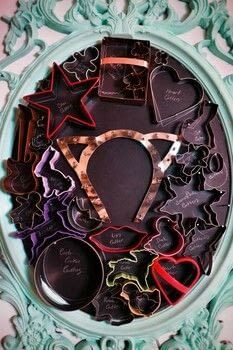 It's best to hold your frame vertical to check that each cookie cutter stays in place as you go. 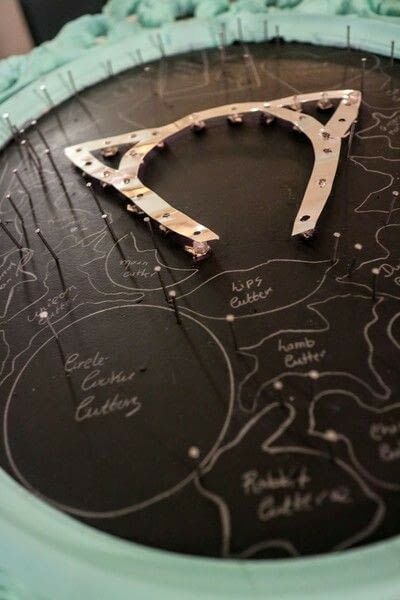 Keep going until you have nails for all of your cutters. Mount your frame on your kitchen wall. Place each cookie cutter into it's designated space. 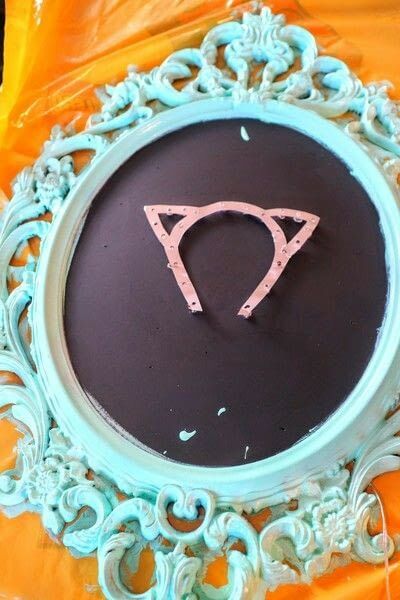 Stand back and admire. If you start to run out of space, you can always put shapes inside each other. 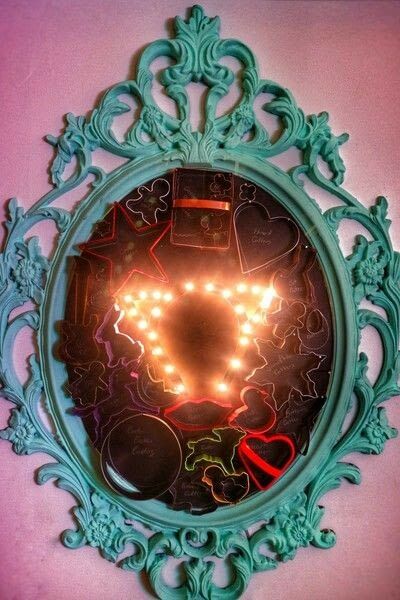 If you made my light up version from step one, turn on and admire the disco lights.